The beauty of Cruel City is in my opinion the plot twists. Every time you think you have it figured out, something changes. It would bother me in some other series, but here the twists are natural. I do think it even fits with the theme. Everyone tries to get a hold on the situation, but time after time something happens and the reigns slip out of their fingers again. 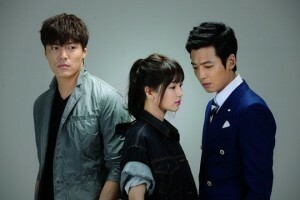 Read more: my review for Cruel City/ Heartless City. There was however a point in the series where I got the feeling the whole drug syndicate was run by undercover policemen. I just kept wondering if without these people, this drug organisation would have collapsed a lot sooner. Even with the limitations of undercover work, the police should really work on their communication skills. When you read the synopsis, you would think romance is the centre of the story, but there is a lot more going on. I do think ‘love’ is a central theme. That is the wonderful duality of ‘Cruel City’. Within its cruelness a lot of the actions and decisions are made for love. Love, not only for a romantic interest, but also for friends and family. And this love is found within both ‘good’ and ‘bad’ characters, making it all a bit grey instead of black and white. But coming back to the romance itself: in comparison to other kdramas it was steamy! No things like ‘I think I may perhaps probably maybe like a person…’ the characters know what they want. Even when they are confused with their feelings, they don’t just deny them or make irrational decisions. As I said before: it does not centre around romance, but the scenes where they show us romance are hot! I enjoyed the fact that the main characters were all quite intelligent. Even Director Jo, who with his great acting disgusted the creep out of me, got my appreciation when I realized he was not just a pervert, but a sadistic-but-not-stupid pervert. I guess I like my bad guys to be somewhat of a challenge and not just some nasty dudes. 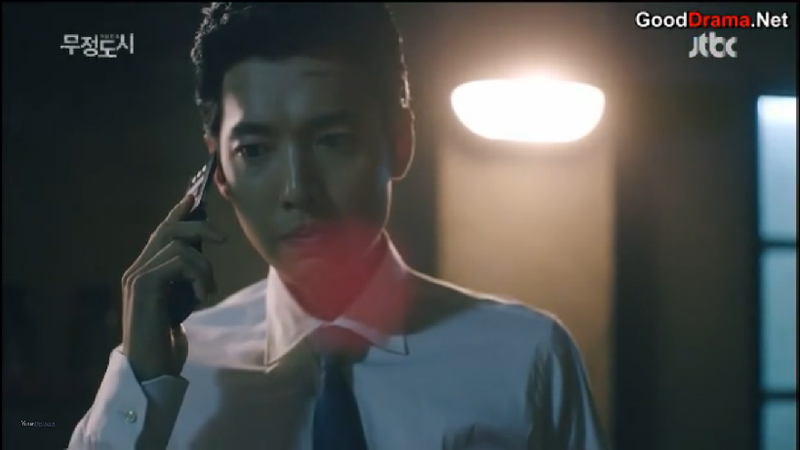 Jung Kyung Ho did a great acting job again. I already loved him in Time Between Dog and Wolf, but he was amazing in Cruel City! The cruelty in cruel city was not as cruel as I thought it would be. 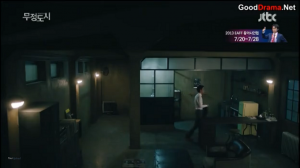 Yes, there were drugs, there were prostitutes, there was fighting and killing and backstabbing… and yes there was alcohol and lots of it (these Korean dramas really make me think Korea is the land of alcoholics…). But I have seen a lot of movies and series who go a lot further in it. The real pain is not shown a lot here. We do get a few glimpses here and there, but it is quite softened up in my opinion. Do I mind? Not at all! If a story gets too depressed, I get depressed myself, so I do prefer a series where I realize there is a lot of bad going on, but I’m not in pain watching (still watch these things sometimes, I guess I have my own masochistic periods). It is a thin line this series is walking, but it really does its job of keeping it somewhat airy and not becoming too unrealistic at the same time. And it does never temper the excitement and tension! It was really frustrating to have to wait each week for new episodes, because the story just keeps sucking you in. And to make it worse, they have these horrible cliffhangers to end each episode, which make you both jump up and down in excitement and curse at the same time. Oh, and don’t we just love tragic heroes. I know I do. And it was full of them. Yes, the series was actually littered with them if you think about it. Each of them going their own paths and making their own decisions. My favourite is the Doc himself of course. Who could hate him? Seeing him suffer each time he has to do something evil, just makes your heart bleed for him. And then, when he is able to do some good in between you are screaming inside: ‘yes, go for it!’. I just love this character. Even if some decisions are not the easy or conventional thing to do, he does it anyway. There were some minor flaws (for example: clothing that looked awesome, but was a total ‘no-go’ for staying discrete), but nothing big and nothing that could not be forgiven. Cruel City – You gain my respect if you can run like that… in these shoes! Bravo! The thing I kept wondering about throughout the drama, was the censoring of knives. What’s the point? Especially since they neither censored the guns nor the blood spraying all over the place. It even came to a point where it started to bother me, because they use knives a lot (which I liked, guns the entire time tend to get a bit boring). I don’t like blurred spots filling up my screen all the time. But this is probably something out of their hands, perhaps Korean law? Anyway: Knives should be sharp both on and off screen! The music was really good. It was making the mood more exciting and fitted very well. There was even a little part that reminded me of the Godfather. The ending theme has a bittersweet tune to it, which gave it all a melodramatic atmosphere (so you could feel extra sad you have to wait another week for a new episode :P). I will rewatch these series in the future. I already rewatched certain parts that I liked, so that’s a great indicator. Extra kudos for Jung Kyung Ho for great action scenes and beautiful acting, when he had a back injury! So, should you watch this? Absolutely! This is a series I would recommend to a lot of people. It has a nice balance and interesting plot, that makes it great material for a broad public. It is something both sexes will enjoy. I would say it is for an ‘older’ public; teenagers will definitely like the series, but I would say 16 is really a minimum. I watched this drama month ago and still i can’t get over it 🙂 i’ve seen a lot of Kdramas but this one had particular plot,it was very refined,serious,intellectual- overall impression: Fabulous !